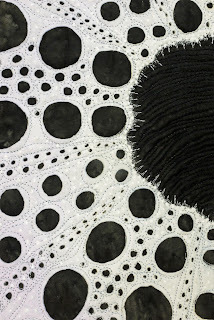 For this challenge, I reverted to one of my favorite phylums- the echinoderms. 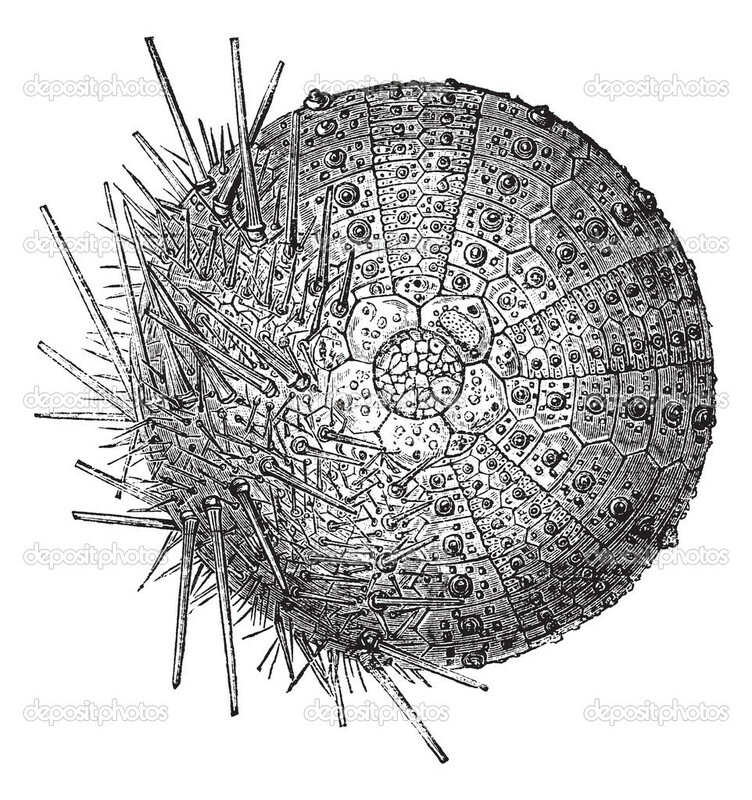 Above is a scientific drawing of a sea urchin test- which is the shell that remains after the spines fall off and the animal inside decays. I showed a modicum of self restraint and just gave this one a bit of purple around the edges. Detail of the mouth (?) He was made from silk and Evolon, heat cut. He was fun as always! How you interpret what you see just blows me away. 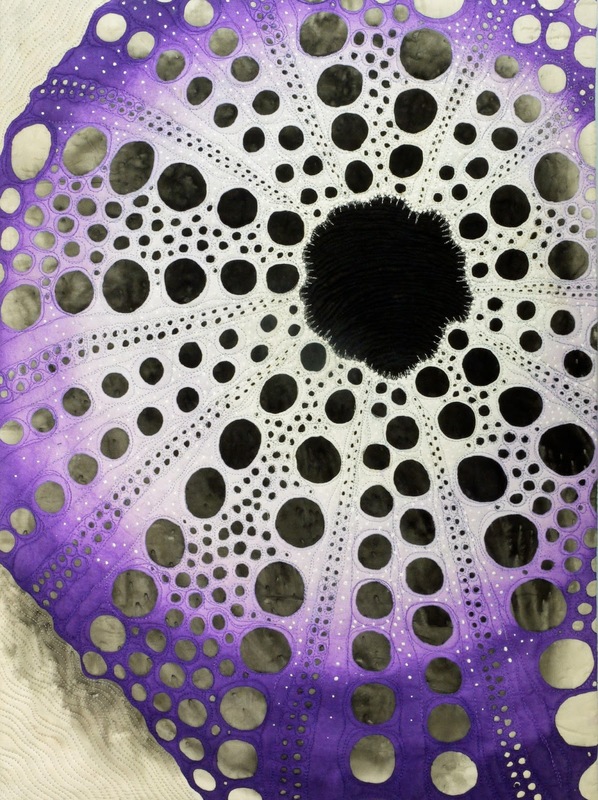 Purple lace from a "carapace"! So so cool. I love this one! Love the dimensionality and shadow. masterful! Glad to see you exercised some self-restraint, Betty! :D Your purple urchin is a wonderful response to the challenge. Betty, you know I love your urchins! Your use of color and shadow is just stunning! 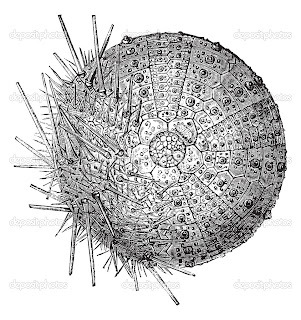 I agree with all the comments about your urchin Betty- he is beautiful. Modicum. Nice show of restrain, Betty :) What a beautiful offering for this challenge! Love it! Betty, this work is very very beautiful! Thank you for sharing this wonderful piece with us! Love it, of course! Am itching to play with Evelon some more!